It is an engaging program students are actually interested in! 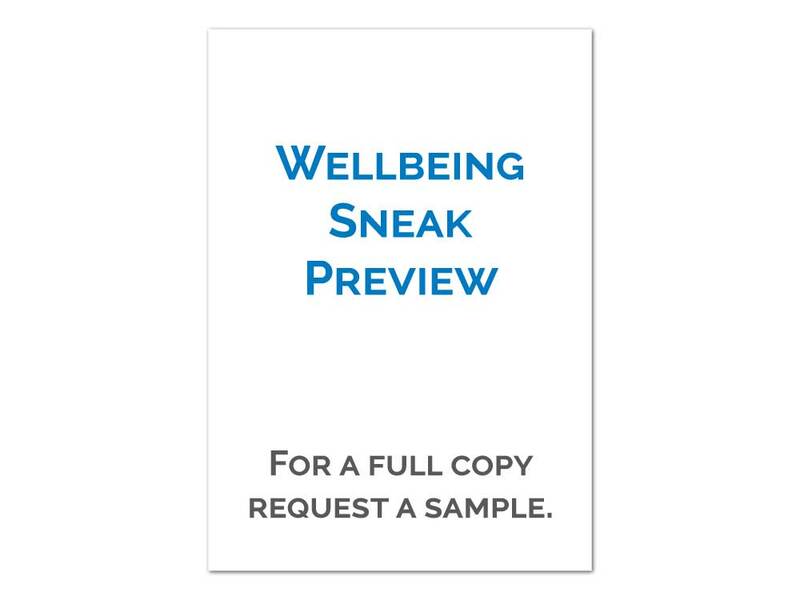 WHY WOULD YOU WANT A WELLBEING PROGRAM? Two good reasons that wellbeing should be taught in schools are the current flood of depression and the nominal increase in happiness over the last two generations. The prevalence of depression among young people is shockingly high worldwide. By some estimates, depression is about ten times more common now than it was fifty years ago. Fifty years ago, the average age of first onset was about thirty. Now the first onset is below age fifteen. Depression now ravages teenagers. Current research shows a strong correlation between social and emotional learning and strong academic performance, lower absenteeism, higher degree of self-control and open-minded, creative thinking. 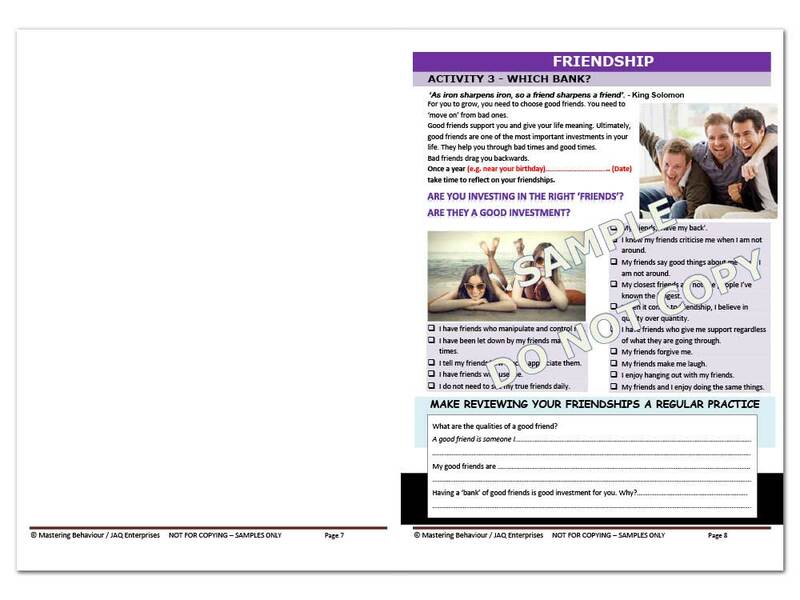 WHAT’S INCLUDED IN OUR WELLBEING & PASTORAL CARE PROGRAM? 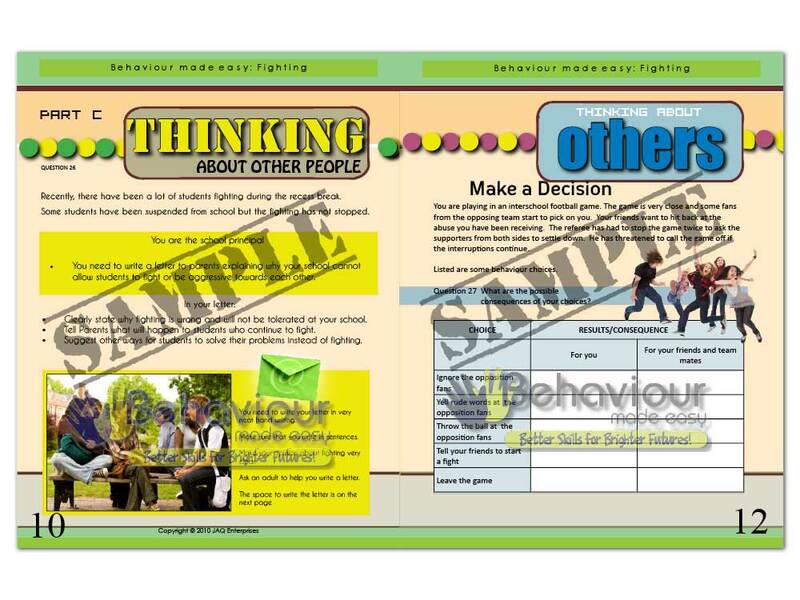 Our Wellbeing program includes the complete Mastering Behaviour resources including: Values, Respect, Choices, Attitude, Cyber Safety & Bullying as well as the ‘NEW’ Mastering Wellbeing component to compliment your diary. 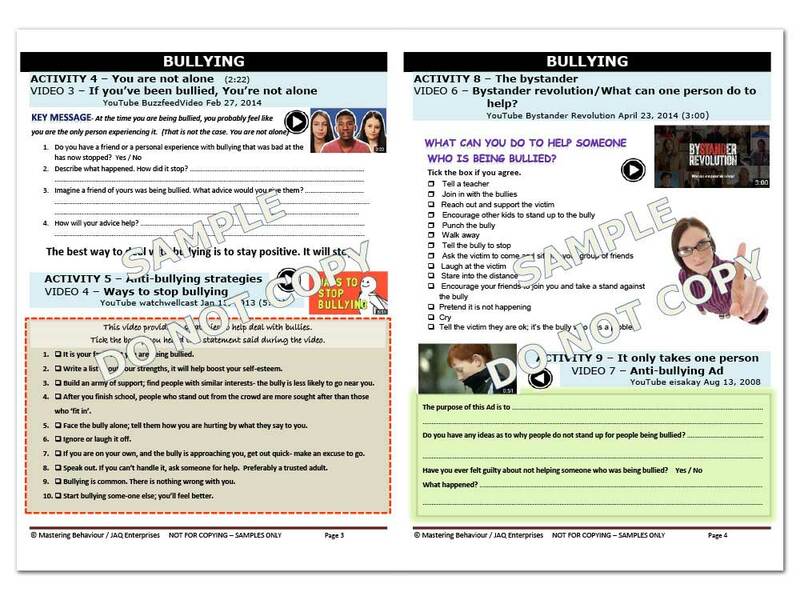 The resources are engaging for students and ready to use complete with pastoral care activities, video links, student worksheets and case studies. 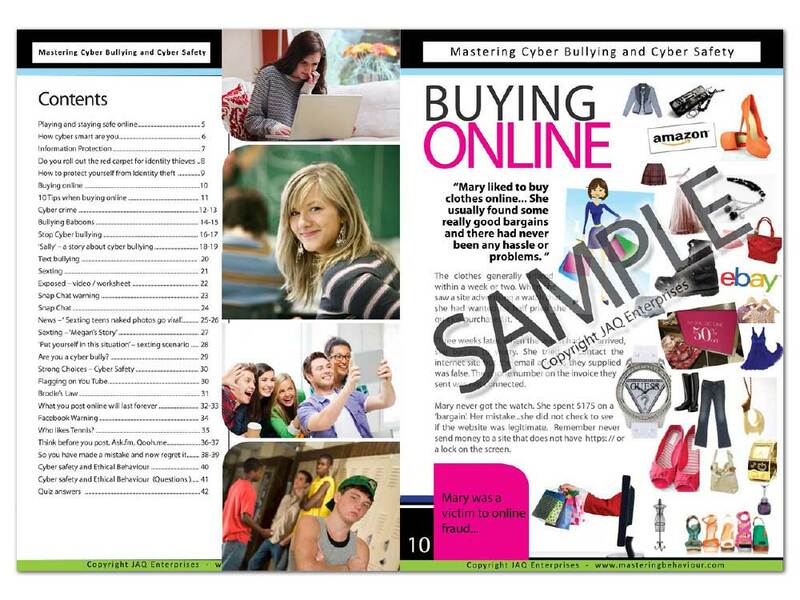 There are literally hundreds of pages linked and referenced to the 32 reference pages within your diary. 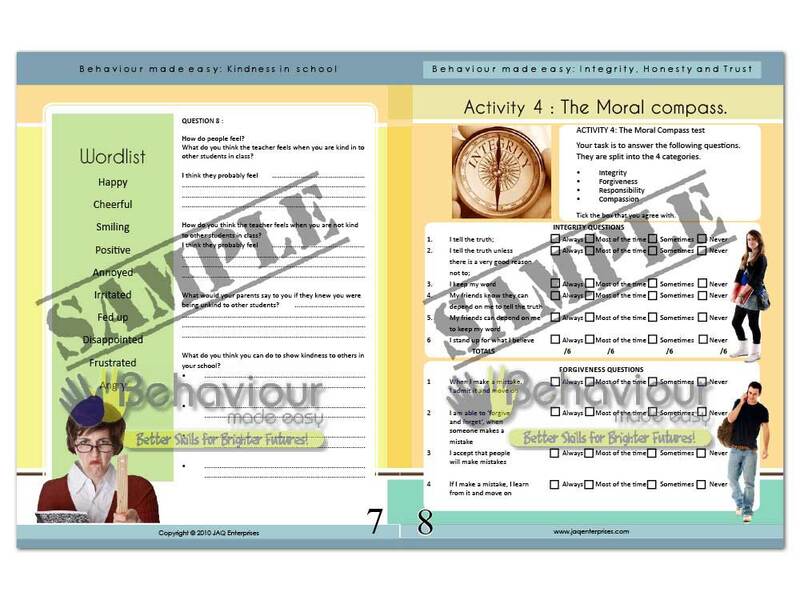 The diary pages provide stimulus for the resources and are a handy reference for students and parents alike. 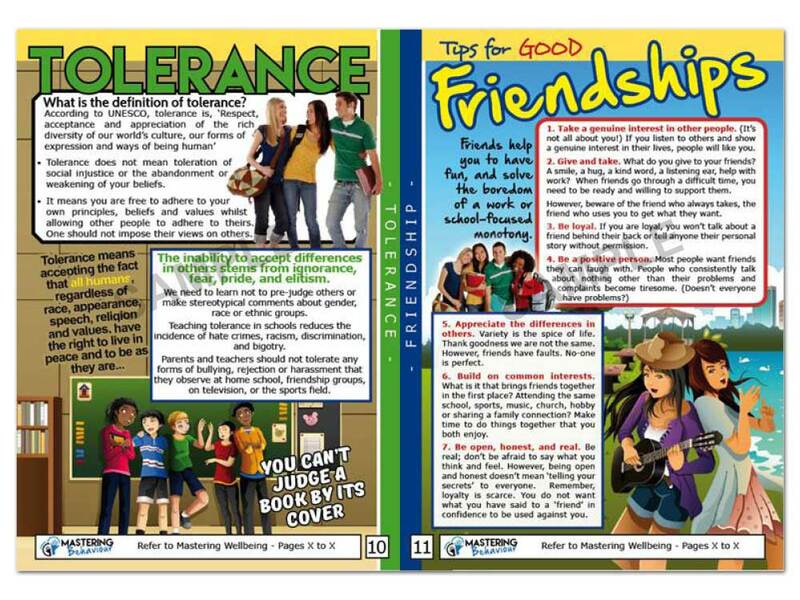 The diary reference pages form the basis for a unique video driven, activity based program that will teach students about themselves, dealing with friends and conflict, group mindset and more. Cutting edge program . . . . no staff PD needed! 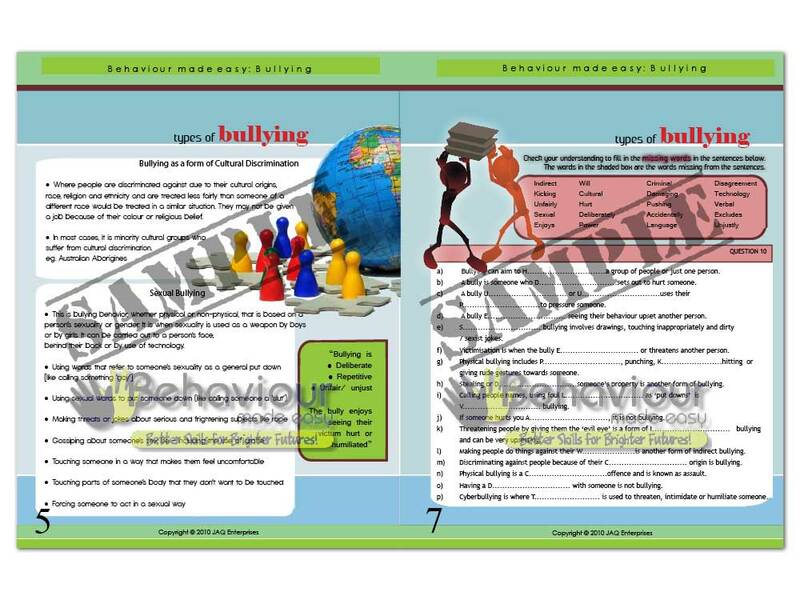 We bring you a unique combination of a diary with supporting resources including activities, video clips, worksheets and more. 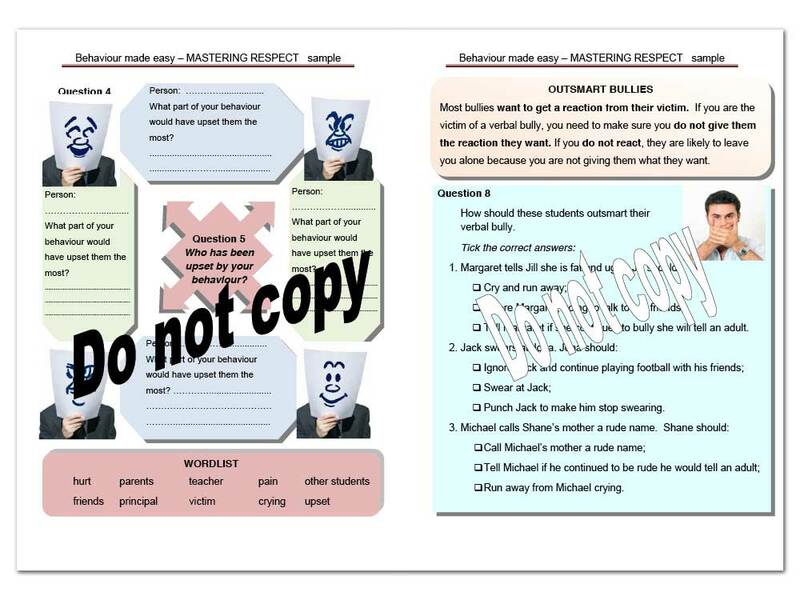 Save TIME: Save staff time by not having to prepare wellbeing units and lesson. 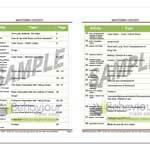 Ready to print / data project immediately. 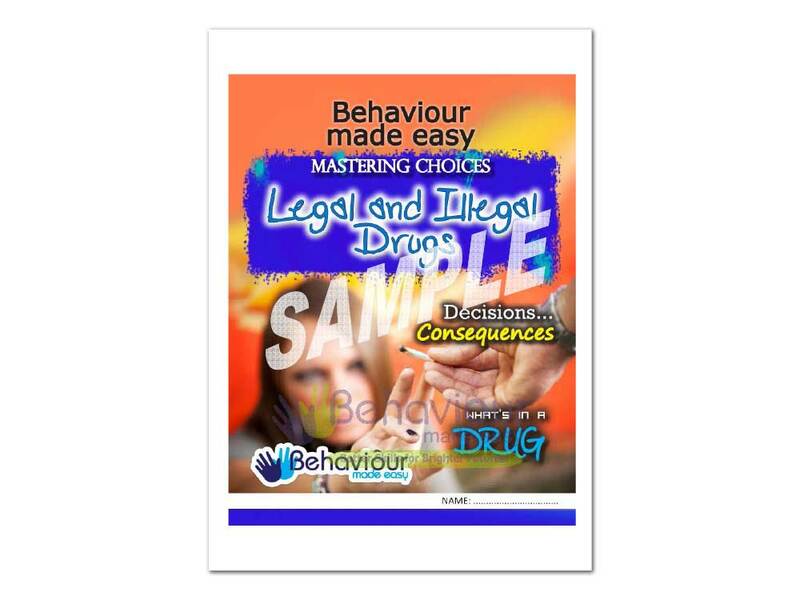 Ideal for individuals, small and large groups. The resource is ready to go! Save school MONEY: No expensive staff PD required. 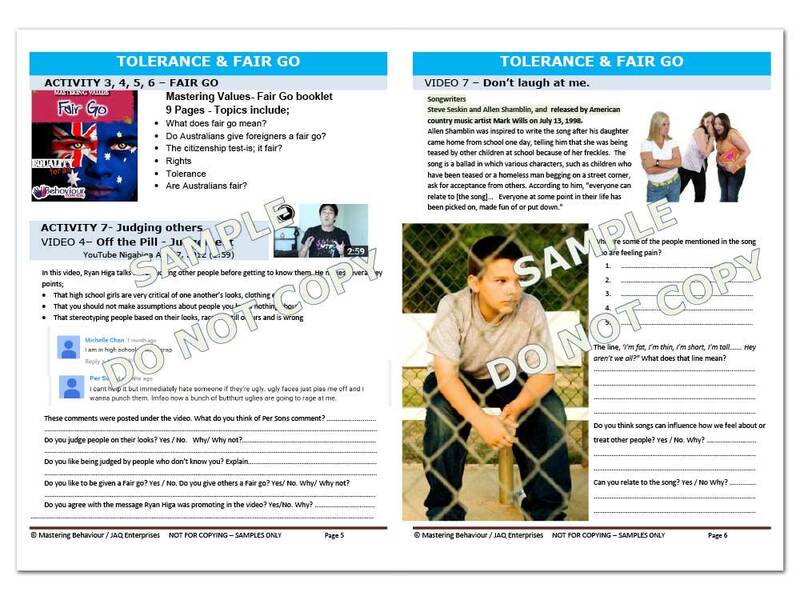 ENGAGING for students: Student friendly resources – video clip for lesson stimulus. 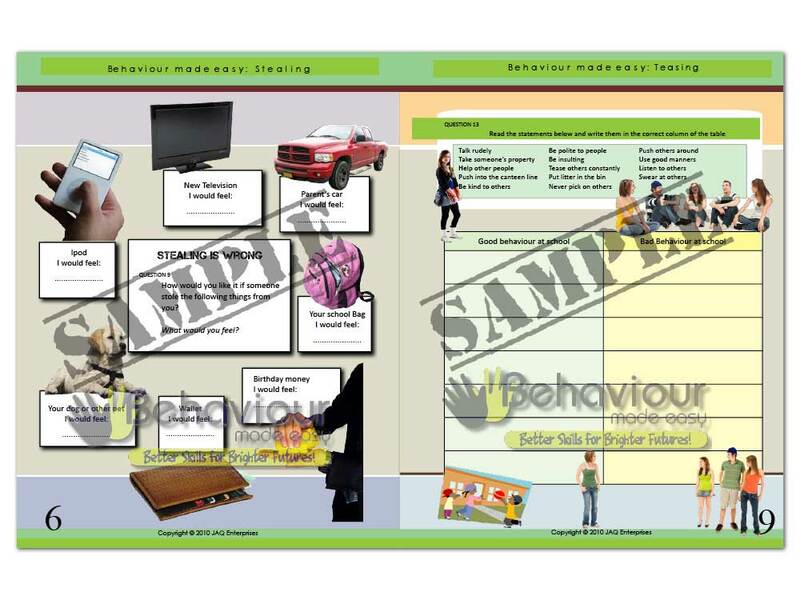 Variety of activities that require minimal teacher expertise. 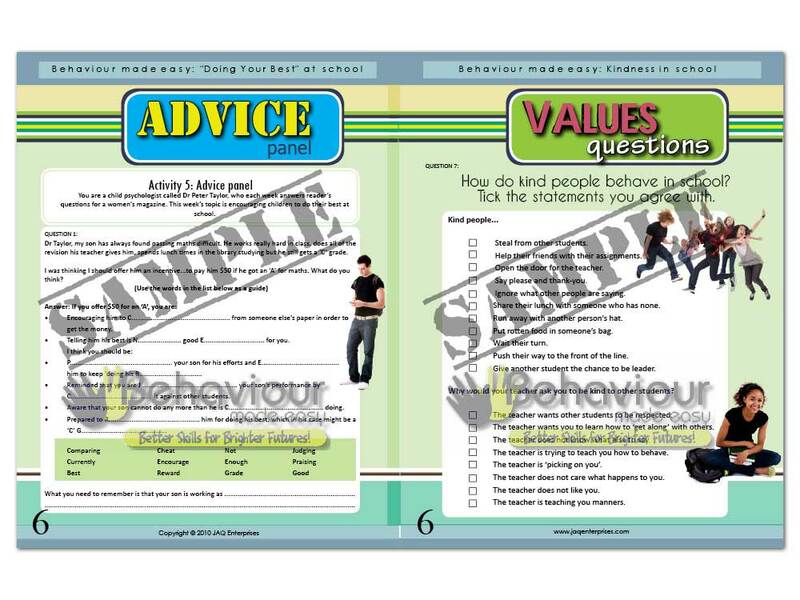 There are 32 diary pages which include 30 topics that have a unit of work incorporating videos and associated activities. 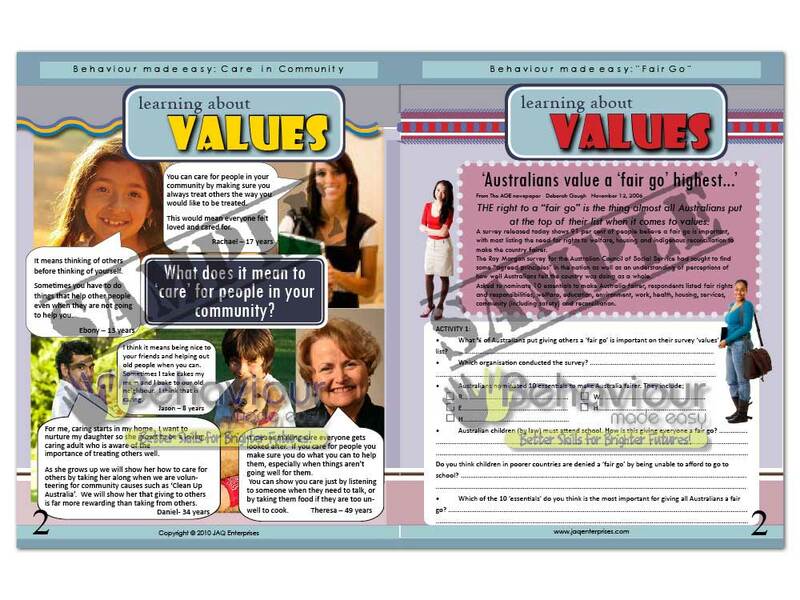 Each work unit will satisfy several lessons of pastoral care / wellbeing. 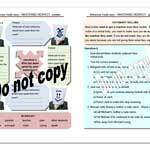 Suitable for whole school due to the large volume of resources. 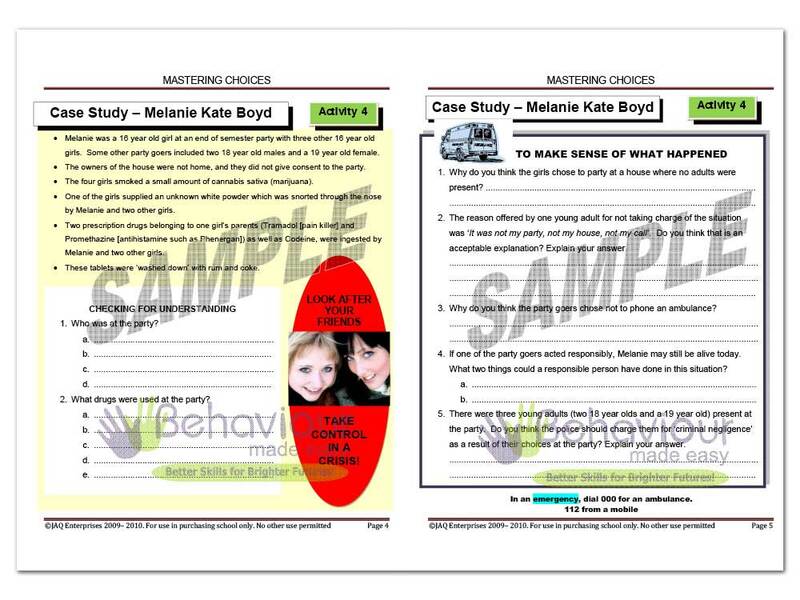 Each diary page is referenced and linked to specific pages within the Teacher Resources. 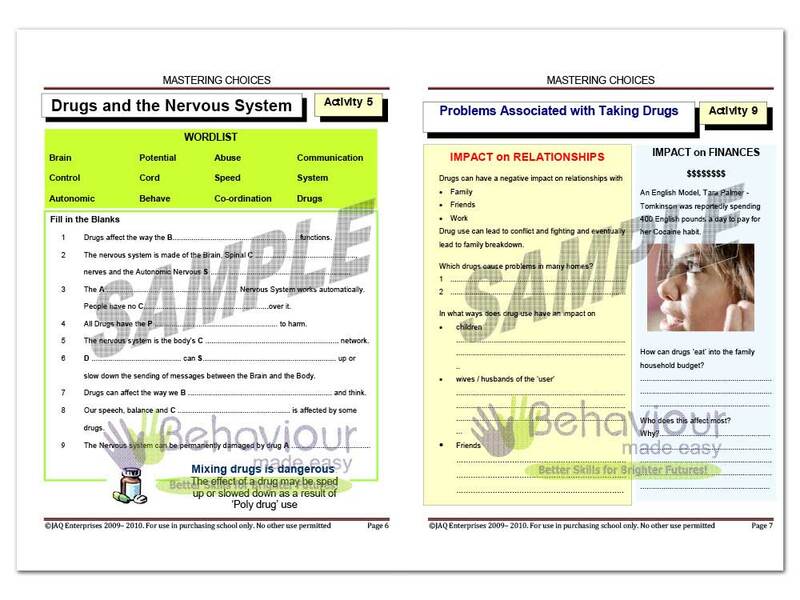 The Teacher Resources are available in a choice of 3 programs or you may select them all! 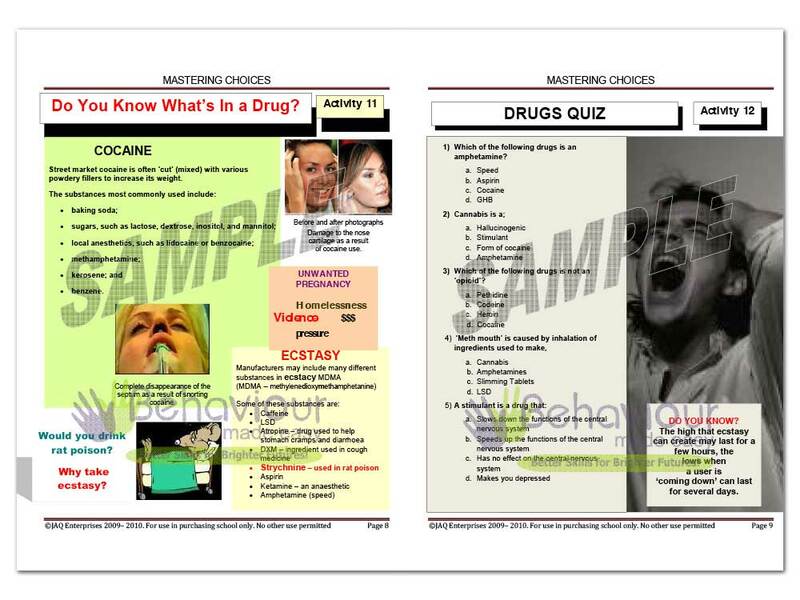 Below are samples from each of the available resources. 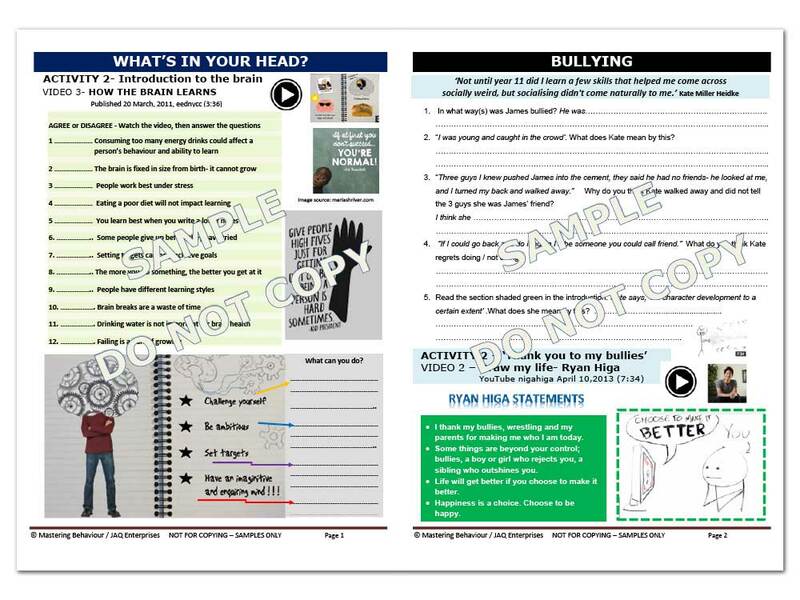 The resources to be updated with new content and new designs for 2018!! 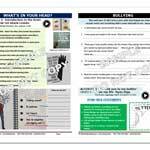 • Topics aligned to the Student Diary reference pages (available without the diary pages also). 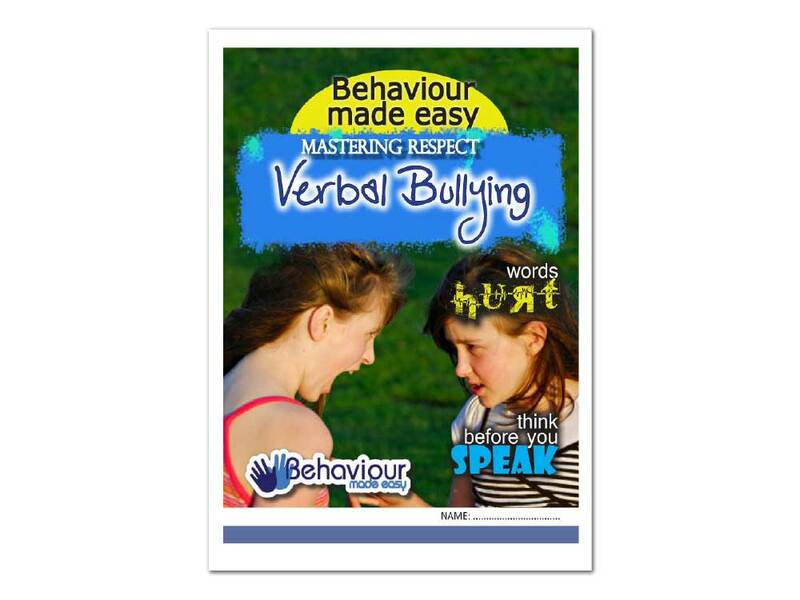 • Ideal for Upper Primary & Lower Secondary. 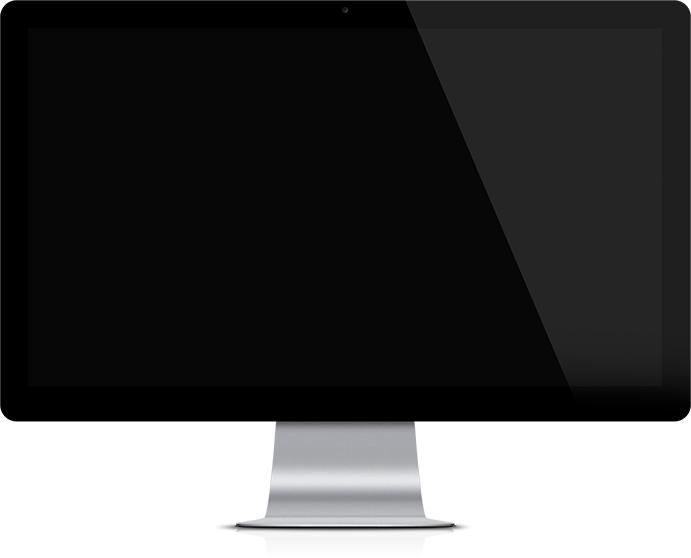 • Many YouTube Video recommendations. 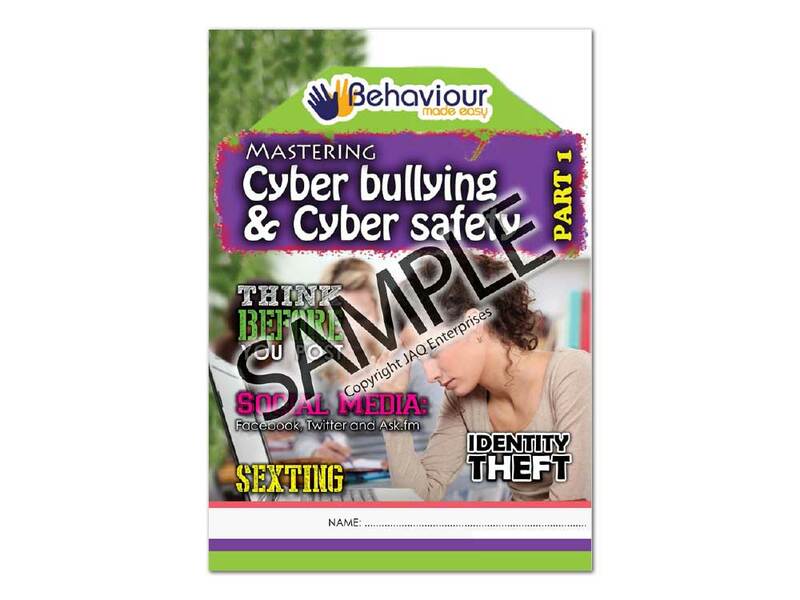 • 3 Modules included: Cyber, Values & Choices. 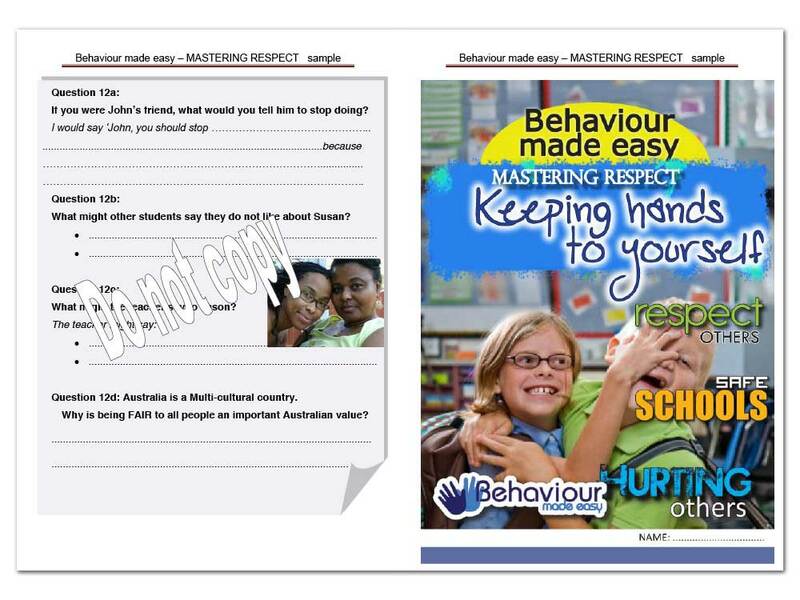 • Ideal for Deputy Principals, Deans of Students, Heads of Department, Year Level Co-Ordinators, Staff and Parents. 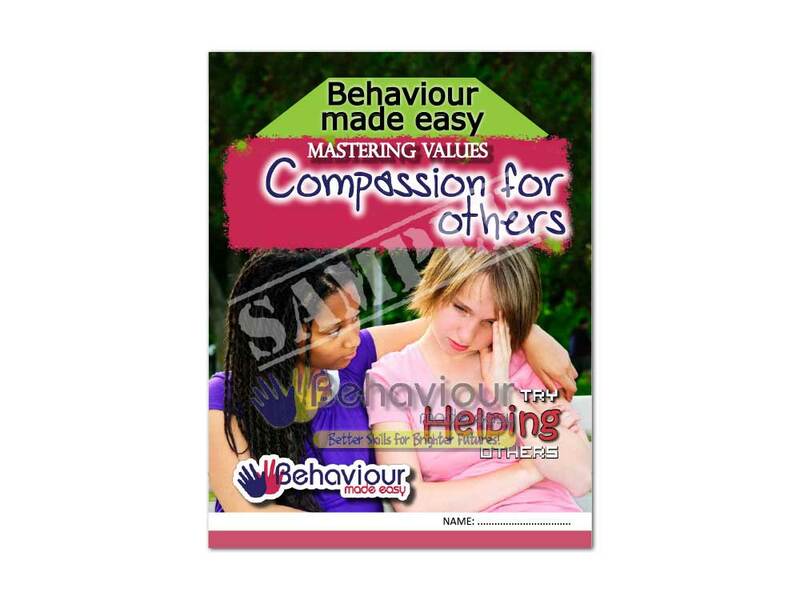 • 2 Modules included: Attitude & Respect. 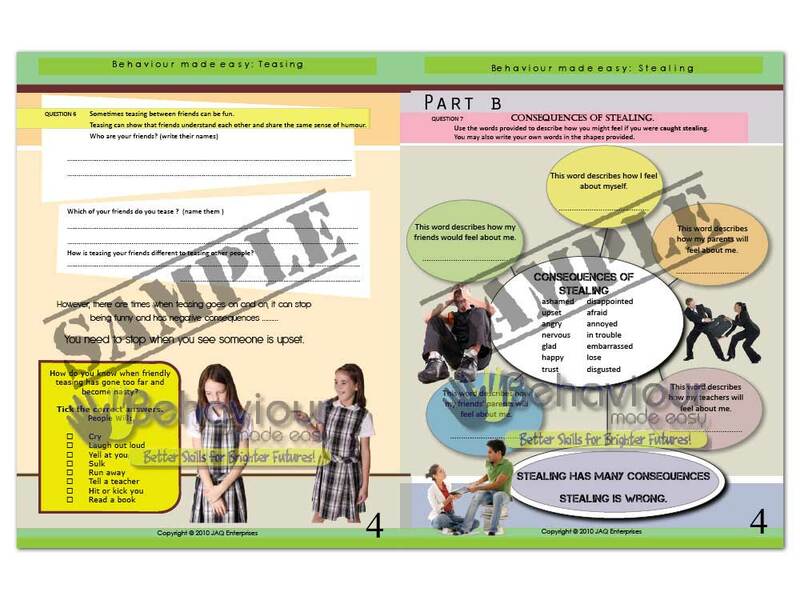 View a sample of the content from the Mastering NEW resource. View a sample of the content from the Mastering Values resource. 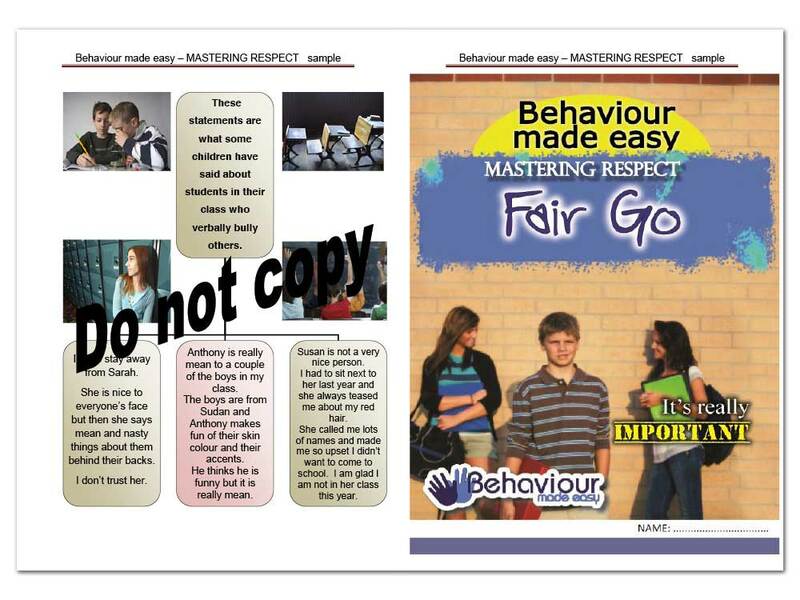 View a sample of the content from the Mastering Respect resource. 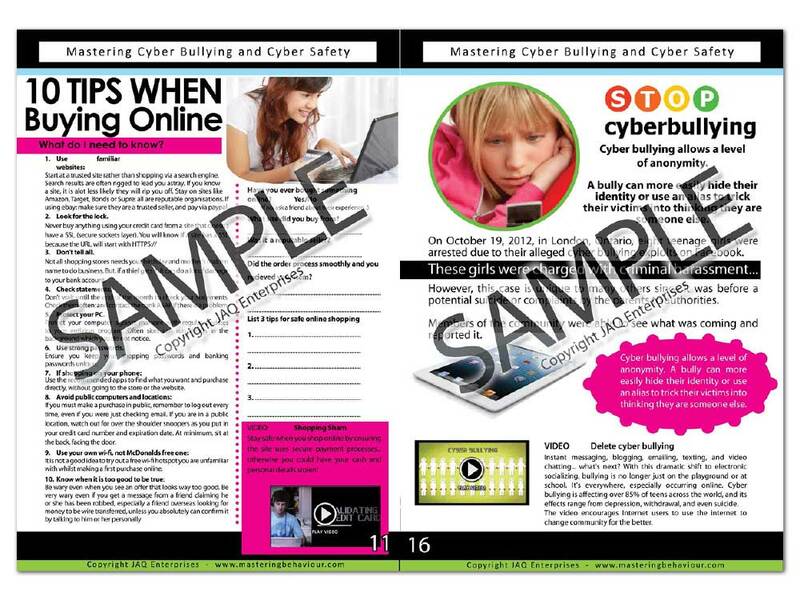 View a sample of the content from the Mastering Cyber Safety resource. 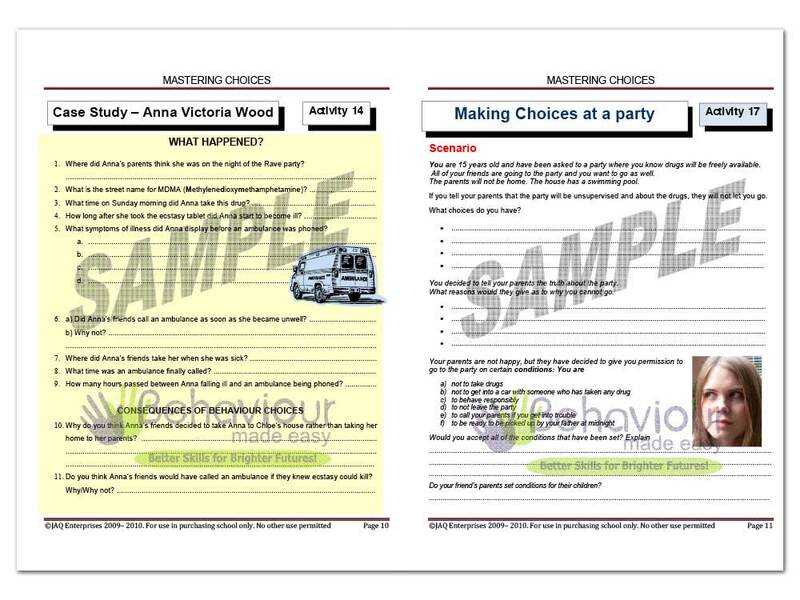 View a sample of the content from the Mastering Choices resource. 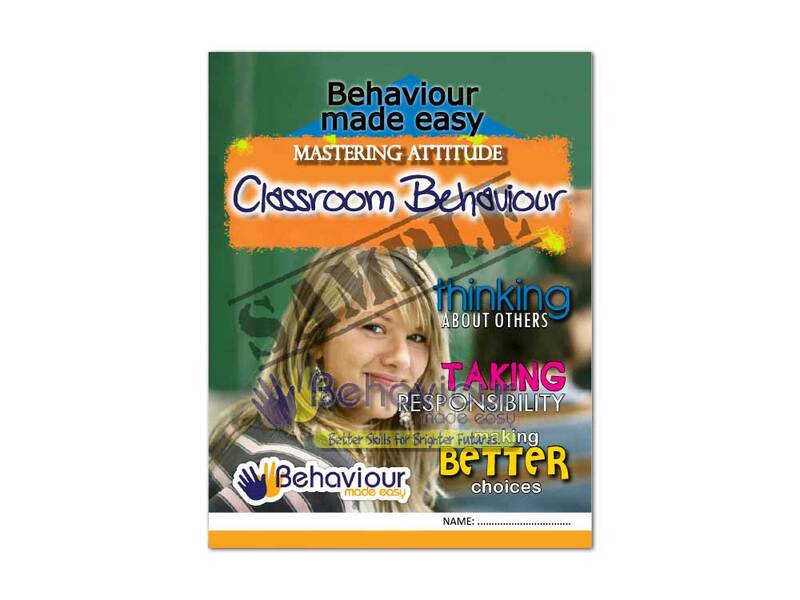 View a sample of the content from the Mastering Attitude resource. ORDER ALL 3 PROGRAMS & SAVE! 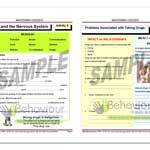 If you order all 3 Teacher Resource Programs you will save 10%. 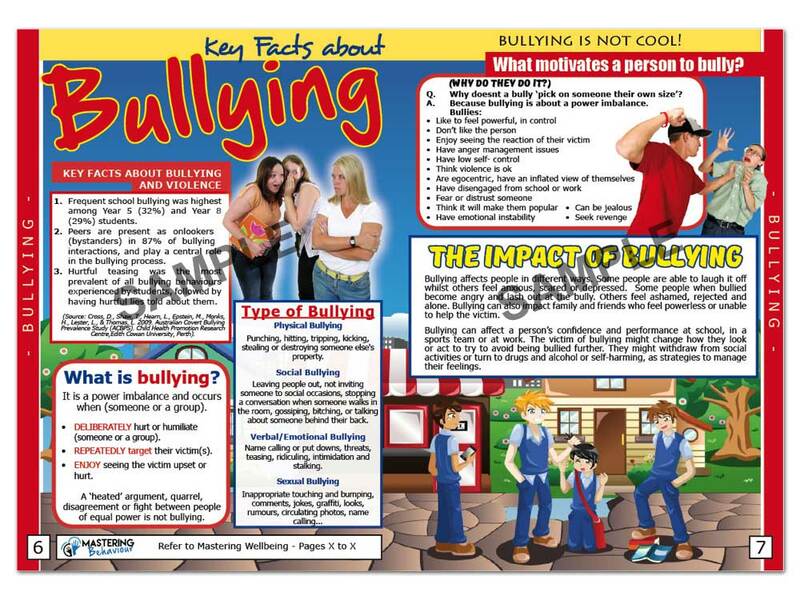 We have included 2 videos from the ‘Bullying’ resource to showcase the caliber of material we source. 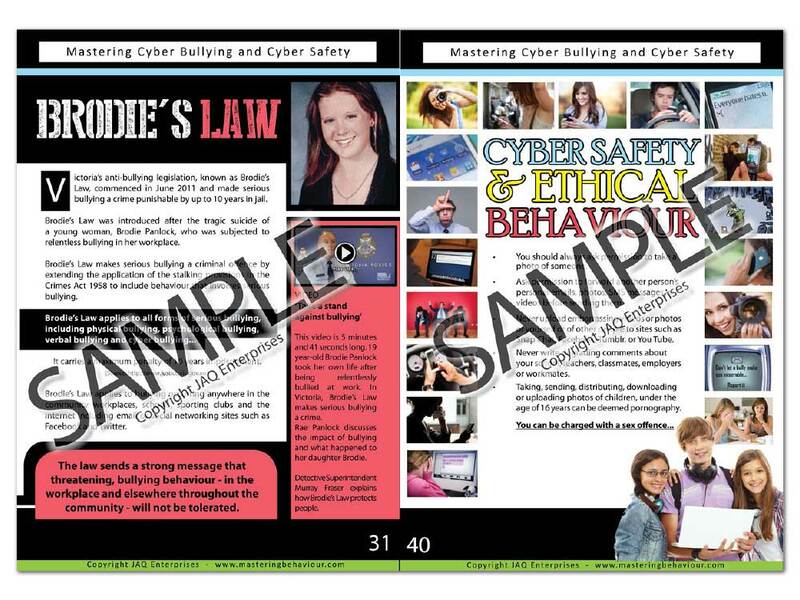 We are sure students and teachers alike will find our videos engaging. 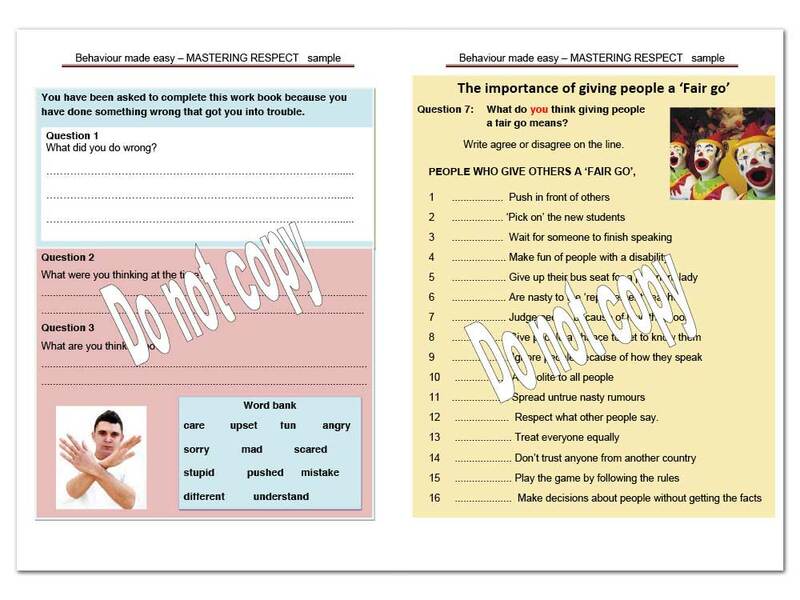 The Wellbeing program includes 32 ‘reference’ pages for your diary and supporting teacher resources. The license is for 1 year only and sold as a package. The above prices exclude GST. Not subject to any discounts. 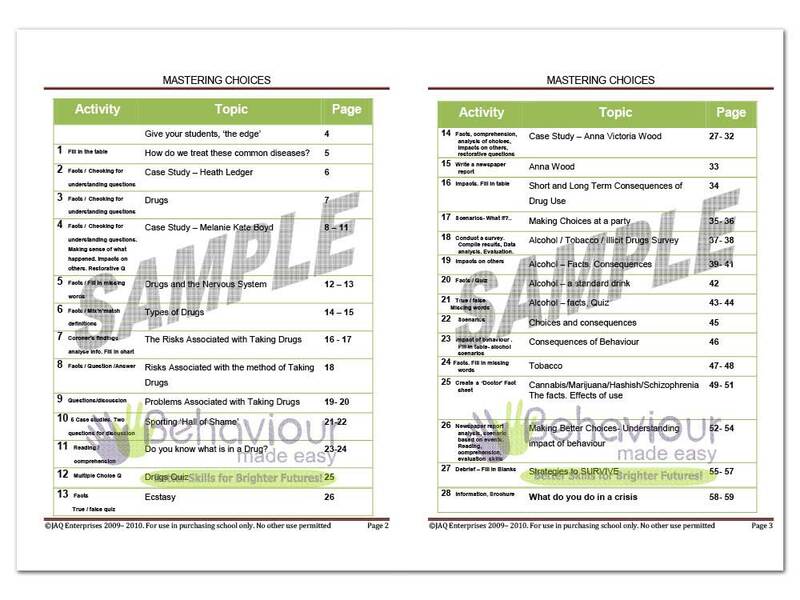 Cost per diary is for the Wellbeing reference section only; diary cost is additional.